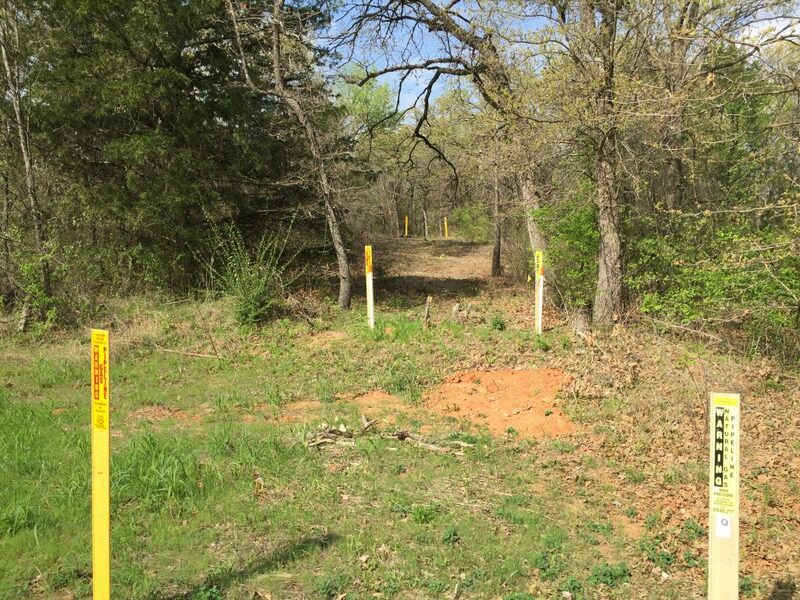 By now you might have heard about the new fracking waste injection well being sought by BlueStone Corporation on the shores of Lake Arlington, the source of drinking water to hundreds of thousands of Arlington residents as well as the cities of Bedford, Colleyville, Euless, Grapevine, and North Richland Hills. 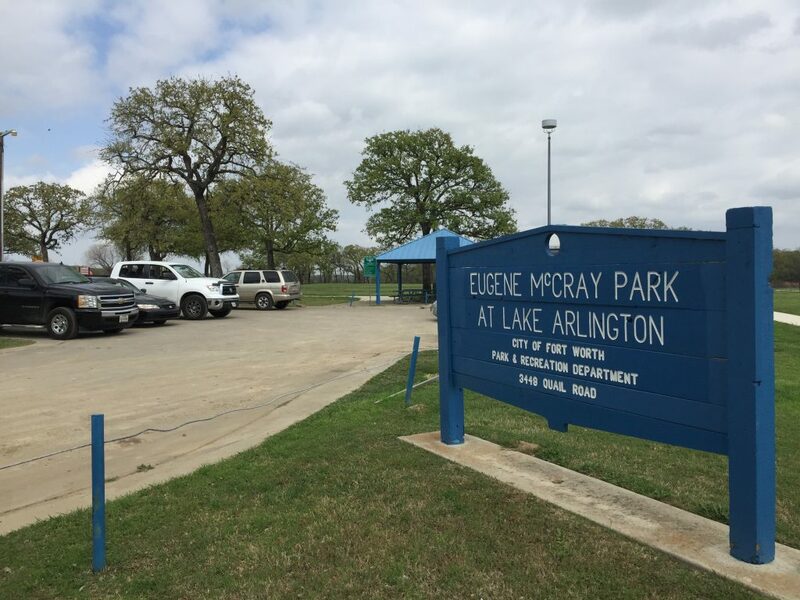 You may know it’s being proposed with a straight face near the Lake Arlington dam, and presents a direct challenge to the municipal bans on such wells that both Fort Worth and Arlington have passed. 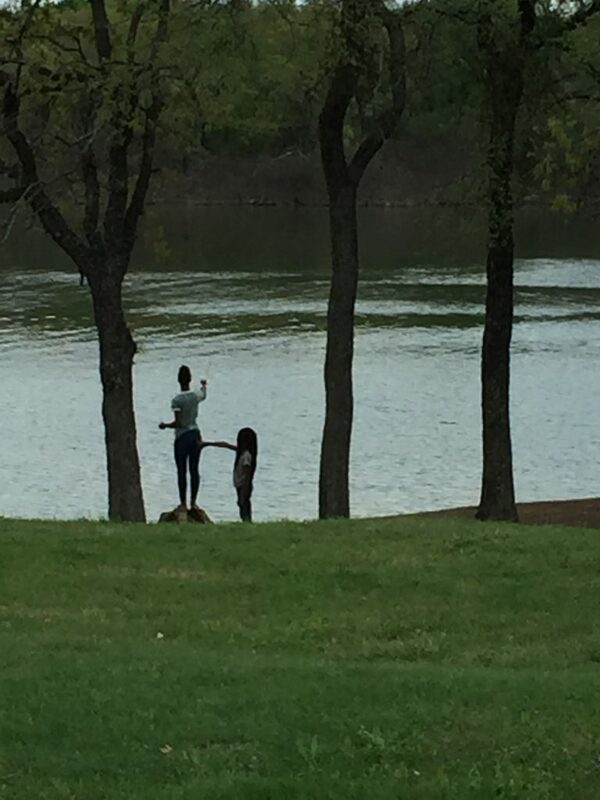 But did you know there’s a lakeside public park that’s a longtime social and recreational hot spot for Fort Worth’s Black community just hundreds of feet away? Did you know there are Stop Six residents living adjacent to the proposed well site? You’d never guess it from the view most of us get out of our cars buzzing by the East Berry exit on Loop 820. Nor can you find it on any of your Internet navigation maps. That’s right, it’s a park and neighborhood so unknown, even Google can’t find it. 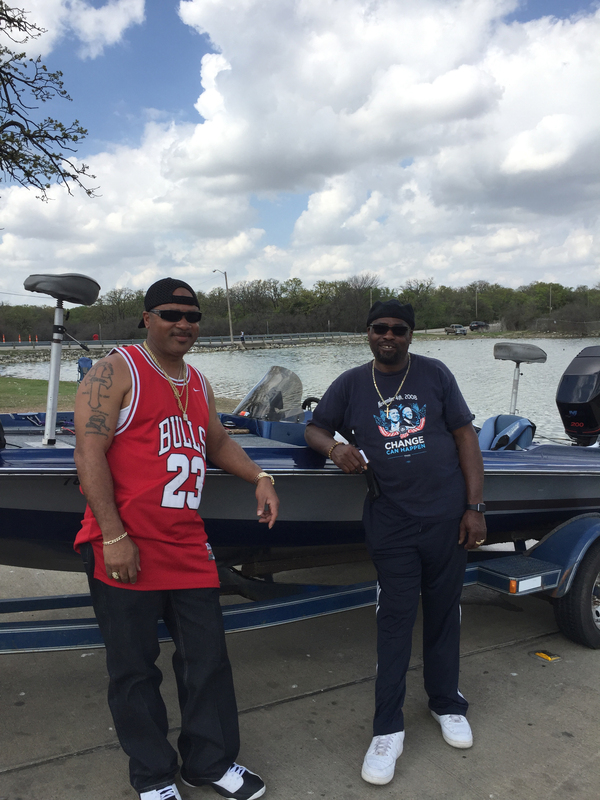 But drop by Eugene McCray Park any given weekend and you’ll see a large slice of older Fort Worth black culture, with lots of fishing rods, lawn chairs, and baking brisket. “This is the Black Side of Lake Arlington” says an older gentleman sitting on his tailgate, and a panoramic look around confirms his judgement. Smaller children energetically utilize the top-o-the-hill playground, older kids and their parents fish from the shoreline, others out in all varieties of boats come and go from the park’s ramp, birthday and anniversary parties roar with laughter from the covered pavilions, customized grills and recipes are carefully tended, dominos are slapped down hard on the cement tables, all surrounded by fresh spring greenery and the lapping waters of the lake. You can watch a heron swallowing a snack, or florescent-necked ducks swimming the small bay that shoulders the park. It’s one giant African-American Norman Rockwall painting. 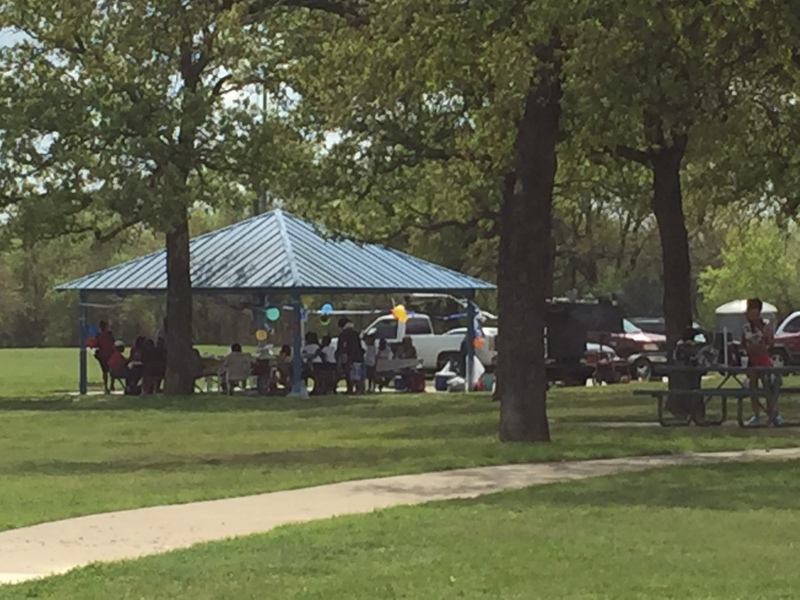 On this March spring day, it’s as though Stop Six has its own miniature all-black Eden in the middle of DFW that no white person can even guess is here. But less than a quarter-mile mile south along this idyllic lake shore is where the BlueStone corporation wants to start disposing of a million and a half gallons of fracking waste a day – in direct violation of a Fort Worth ordinance that says you can’t do that. It’s also the first real challenge to the stalemate frozen in place by 2015’s state law HB40, reining-in the power of cities to regulate oil and gas facilities within their own city limits. On either side of the well site, neighborhoods are squeezed between 820 and the lake with a mix of low and middle-income renters and homeowners, small lots with gardens, and older ranchettes with horse stalls and chicken coops. McCray Park is their backyard. But if it had to have a new well – and there’s no proof it did – BlueStone had the pick of any area in Tarrant County or Fort Worth to site this new facility. Nothing in the quotes from the company so far indicate this Stop Six site is an especially strategic or convenient location to ship the wastes from those Quicksilver wells. But something about this Stop Six neighborhood does make it a desirable target for a company like BlueStone: It’s predominantly minority and doesn’t have a lot of money to fight back. Does anyone who already has experience in these matters believe it was only coincidence that drove BlueStone to pick this Stop Six site, instead of say, somewhere on the tonier west side? That’s what makes this fight an environmental justice fight along with everything else. 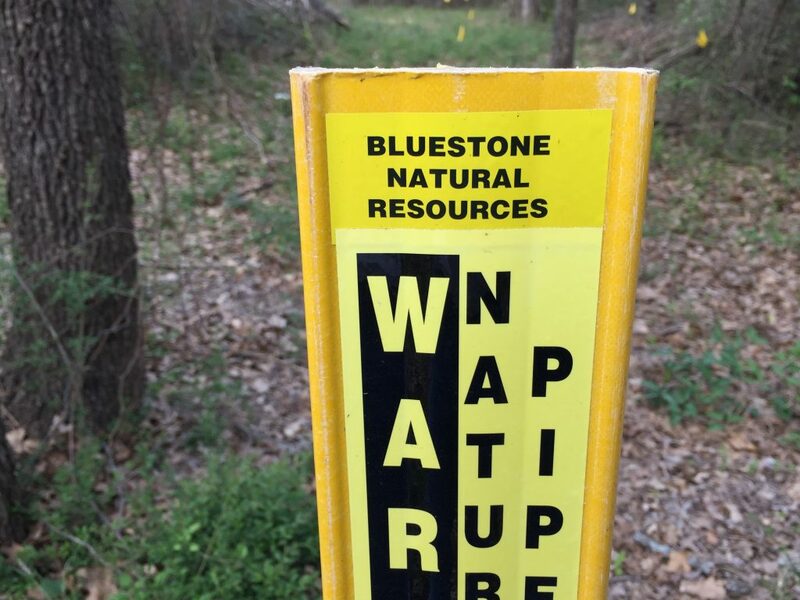 BlueStone has said that its well will only be used for its “nearby” operations. But those operations only produce about half a million gallons of waste a day. Why do they need a permit that allows for disposing of three times that amount? It’s not unusual for a waste well to get a permit under the guise of exclusive use, only to amend the permit a short time later to allow all comers – and charge a nice profit. It also makes it a lot easier to flip in hard times. Unless there’s a deed restriction on this operation, this Lake Arlington site could end up the same way, and the industrial use will overwhelm everything else. The inner-city Black Eden will be gone. When Downwinders’ staff visited this last weekend, not a lot of the park users were aware of what was taking place just on the other side of the tree line. 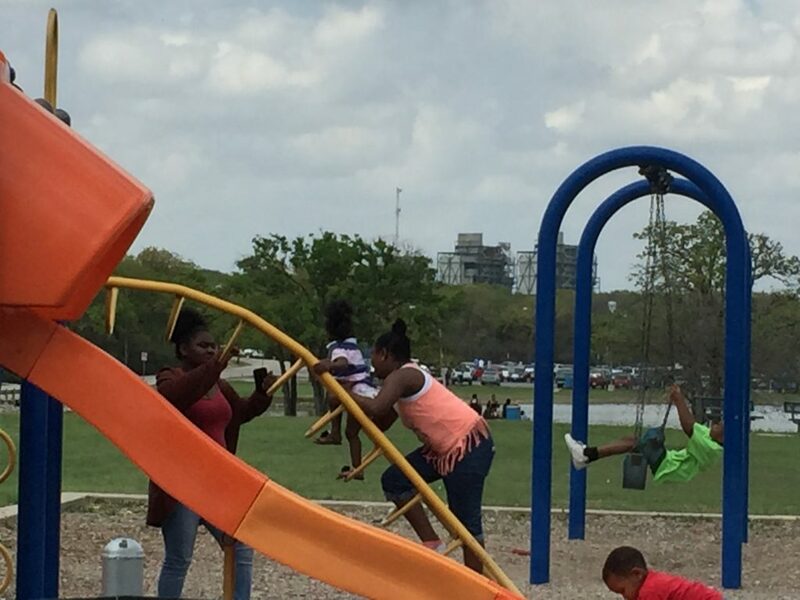 Given the history and stature of the park – it’s named after a black former city council member and is due to headline new bike and hike trails along the Lake’s west shore – there’s potential for a lot of good organizing in Fort Worth’s black community, and Stop Six in particular, by well opponents. 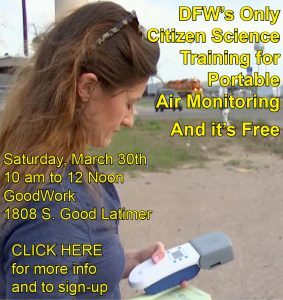 This is as blatant and combustible a combination of race and pollution as recent Barnett Shale Gas Wars have produced. The area is represented by Fort Worth City Council Member Gyna Bivens, who’s already voted to fight the Bluestone permit, State Representative Nicole Collier, who voted against HB 40 in 2015, and State Senator Konni Burton, a Republican who voted for HB40 while praising Fort Worth’s gas ordinance as a model to be duplicated. That would be the same ordinance now under attack from Bluestone’s pursuit of the well site by Eugene McCray Park. 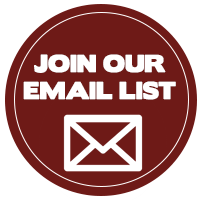 If you haven’t already, you can write in to officially register your opposition to BlueStone’s permit address via our Click N’Send feature. A hearing in Austin at the Railroad Commission offices has been set for May 25th and 26th….. There were already plenty of good reasons to oppose the BlueStone injection well. Now there’s another. Great article. But, I just received a letter from the railroad commission, in response to my emails protesting this well, the hearings have been moved UP to May 17th. They are in a hurry to push this through before anyone notices. Liveable Arlington is fighting against this as well if you want to join voices. I’m not sure why such a post was made. Of courae I know this lake and I’m a white person. Why would a white person not know of the lake or fo. I’ve seen many white people there!